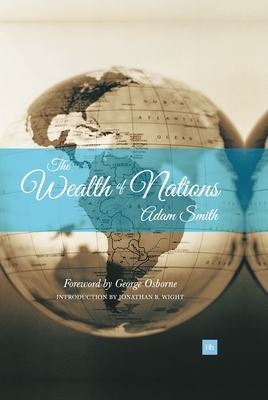 The Wealth of Nations is a treasured classic of political economy. First published in March of 1776, Adam Smith wrote the book to influence a special audience - the British Parliament - and its arguments in the early spring of that year pressed for peace and cooperation with Britain's colonies rather than war. Smith's message was that economic exploitation, through the monopoly trade of empire, stifled wealth-creation in both home and foreign lands. Moreover, protectionism preserved the status quo, and privileged a few elites at the expense of long run growth. Smith wrote, "It is the industry which is carried on for the benefit of the rich and the powerful that is principally encouraged by our mercantile system. That which is carried on for the benefit of the poor and the indigent is too often either neglected or oppressed." This edition, based on the classic Cannan version of the text, includes a foreword by George Osborne MP and an introduction by Jonathan B. Wight, University of Richmond, which aims to place the work in a business context. Wight also provides an invaluable 'Notable Quotes' section where he extracts and categorises some of the most famous and pertinent sections of Smith's work. This classic work is as essential today as it was when it first written.